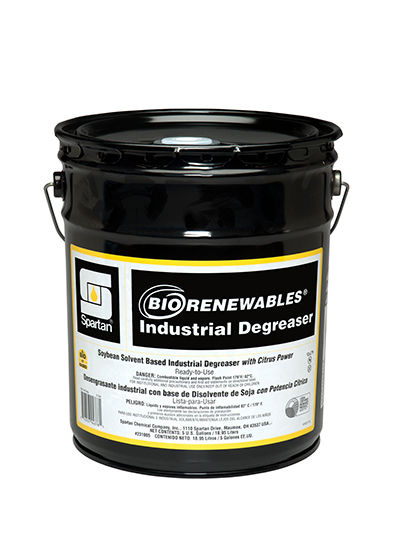 BioRenewables Industrial Degreaser is a user-friendly, industrial strength degreaser designed to be used in concentrate form. Formulated with soybean oil technology and boosted with d-limonene, this degreaser tackles even the toughest tasks. 100% active, BioRenewables Industrial Degreaser works in many medium to heavy duty cleaning tasks.